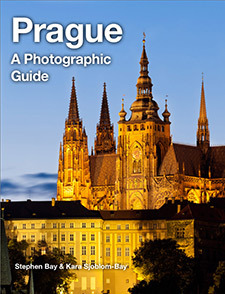 Prague: A Photographic Guide was developed in iBooks Author and is available from the iTunes Store. Last fall I visited the city of Prague in the Czech Republic and spent a week photographing historical and cultural sites. With several thousand pictures’ worth of raw material, my wife and I decided to co-author a coffee table-type book that showcased the city through photographs. I previously authored a photographic book of Los Angeles with a traditional print publisher, so I was familiar with the complexity of a book project. I considered taking this route again by searching for a publisher, but decided against it because it is generally not easy getting publishers interested in new book projects and I wanted to experiment with self-publishing ebooks. With self-publishing, you are in complete control of all aspects of the book’s production. Thus is a large plus in my view, but for some photographers this may be a disadvantage, as you will not have any editorial or marketing support. An ebook potentially offers greater distribution opportunities, higher margins, and negligible production costs compared with a physical book. From a content perspective, ebooks offer no page limits and can support interactive features to make the browsing experience richer. Our first step was to select a format for the ebook and there is a confusing array of choices ranging from PDF and ePub to various proprietary formats. In the end, we decided to use Apple’s iBooks 2 format based on the strength of the iBooks Author software. 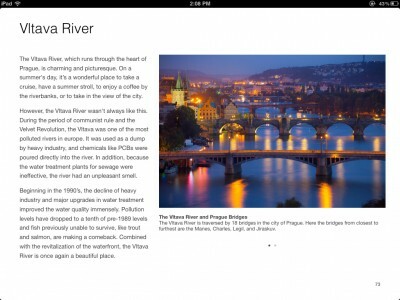 This article will focus on our experiences creating, publishing, and distributing our book Prague: A Photographic Guide, which we produced with iBooks Author. 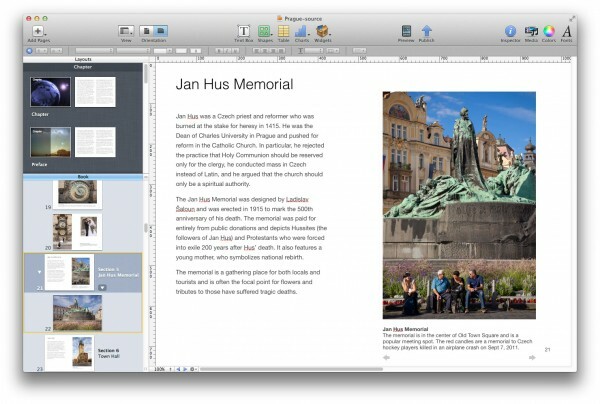 iBooks Author (IBA) is an ebook application created by Apple, which runs on Mac OS X. 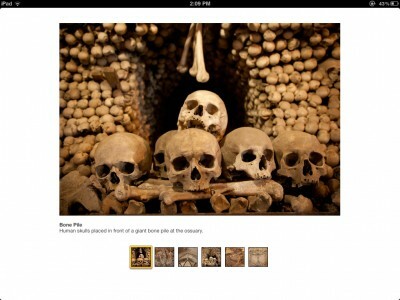 It is designed to produce rich interactive books that can be viewed on an iPad. The software is free to download and you can distribute books made with it through the iTunes Store, or provide free copies directly to readers. IBA uses a fixed layout, which is required for precise formatting and positioning of text and graphical elements. IBA supports dynamic and interactive widgets. For example, you can create a gallery widget with thumbnails and it is possible to include other content such as videos or sound files. IBA is easy to use compared to the alternatives. Although I ran into many frustrating bugs with IBA, one can easily create and format a book in a single evening without any prior experience with publishing software. IBA has a built-in platform for distributing your books, the iTunes store, and for selling them (if you desire). If you are selling your book, Apple charges a 30% commission of the sales price which results in a net of 70% that goes to the author. This is much higher than for a print book, which might be in the range of 5-10% for a first-time author. 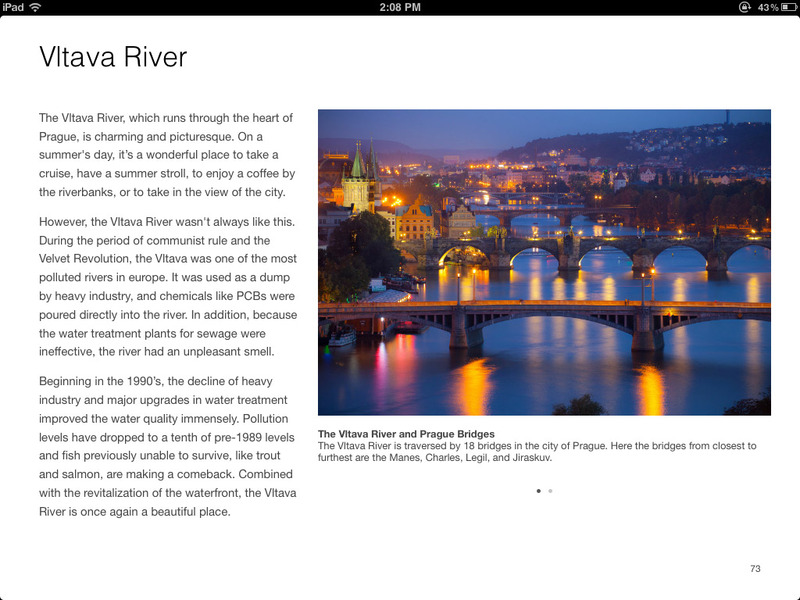 Books made with IBA can only be viewed in iBooks 2 on an iPad. This limits the number of potential readers as those who have other tablets or ebook readers cannot view your work. Furthermore, the books produced in IBA cannot be read on your computer/laptop or on an iPhone. IBA uses a proprietary file format which cannot be read by other programs. Although IBA has some options for exporting your content to PDF or text, you will lose the interactive elements in the conversion. Apple imposes restrictions on where you can sell or distribute your books. If your book is free you can distribute the iBooks file anywhere. 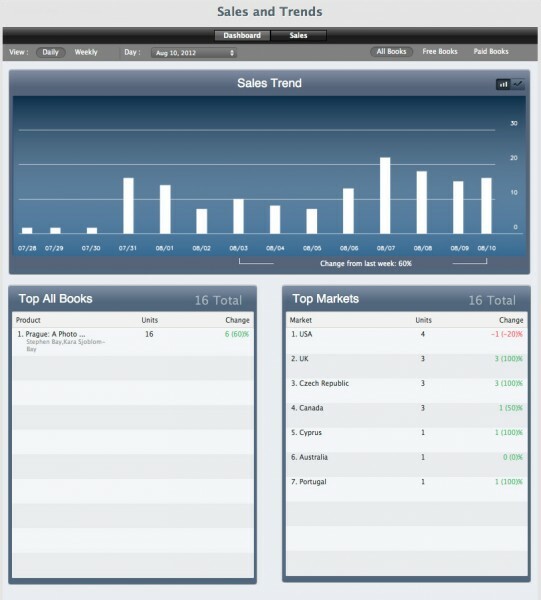 However, if you want to sell your ebook, you must do it through the iTunes store and undergo their review process. The book cannot be printed without losing the interactive elements. PDF is a widely-used standard for documents. It uses a fixed layout and supports precise positioning of image and text content but does not allow for interactive elements. With PDF, you may also be responsible for distributing the book yourself as many online stores do not sell PDFs (or they may require them to be converted into alternative formats). ePub is an open format for electronic books and is designed primarily to handle re-flowable content where the text and figures are laid out adaptively according to the screen and font size. This is best for documents that are mainly text and only have a few figures that do not require precise placement. To deal with the limitations of ePub, several retailers have developed their own proprietary extensions to achieve fixed layouts. For example, Apple, Amazon, and Barnes & Noble all have their own fixed layout formats (note that the Apple format discussed here is distinct from the format produced by iBooks Author). Although these formats are based on ePub they have proprietary extensions and are generally not interchangeable. In addition, books in these formats can be difficult to produce and may require coding in HTML and CSS. For more information on the various formats see the article by Jean Kaplansky or the entry on the MobileRead wiki. A final alternative is to create a dedicated software app to display the images and text. While this offers the ultimate in flexibility and distribution it requires significantly more investment (either through development or licensing the application code from a third party). In short, iBooks Author is an easy way for photographers to create and distribute photo books. iBooks Author should be considered the last stage in putting together a book project. The software is best thought of as a tool to handle the final layout of content. The functionality for text editing and image manipulation is limited and I strongly recommend preparing your content in other dedicated programs before bringing it into IBA. Crop images for the final composition in the book. Resize images at 132 dpi. 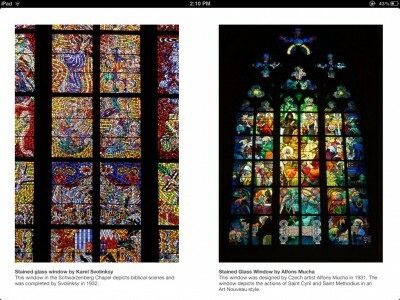 For example, if the image should appear at 2”x3” on the page, the resized image should be 264 x 396 pixels. Sharpen images for screen display. Export the images as jpegs. Lightroom’s batch export, which handles both resizing and sharpening, made the whole process very easy. Once my initial layout and book design was complete, I re-exported the images from Lightroom at 264 dpi to take advantage of the higher resolution on newer iPads with the retina display. 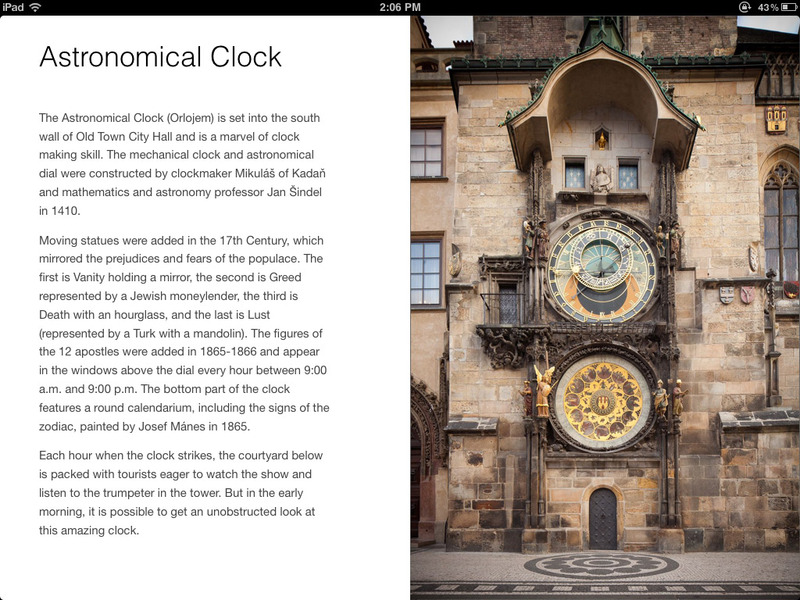 Static Full Page Image – Images can be displayed at full screen on a given page in iBooks. Since the interface reserves 20 pixels at the top for a status bar, the image should be sized at 1024×748. 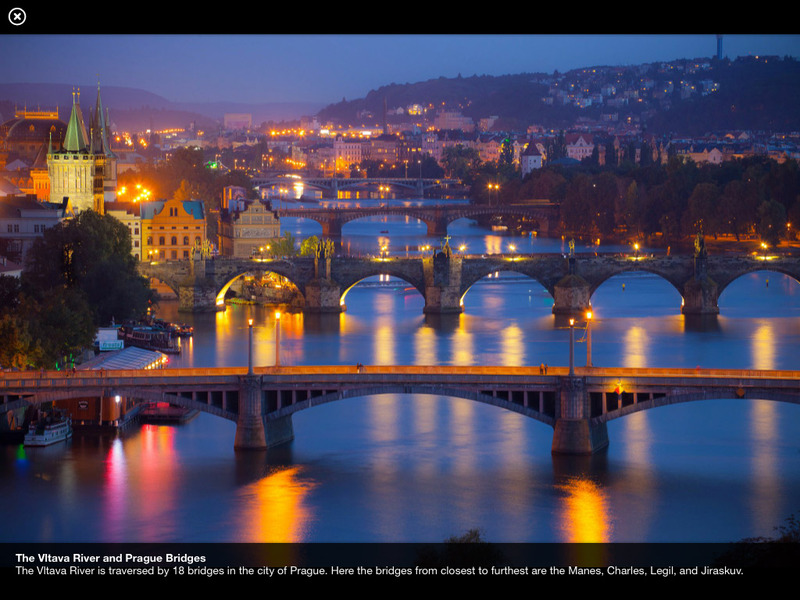 Borderless Images – By placing images in a gallery widget you can display images at full screen in response to a touch. When the image is expanded the status bar disappears and the image can be as large as 1024×768. Generally when preparing images I resize them to the largest dimensions at which they will be viewed. For example, if a 2”x3” image can be viewed full screen with a touch, I would size the image to fit within a 1024×768 pixel box (double the resolution for retina display images). Although our book was primarily designed to highlight Prague visually, there were a number of text passages that we needed to write. Our book had approximately 6000 words and initial drafts were written in Pages and then cut and pasted into the file at the appropriate locations. iBooks Author has a WYSIWYG (What You See is What You Get) interface that supports visual display and layout. Much like other page layout programs, you can have linked text boxes with the content flowing between them. Since all elements are placed in a fixed position, it easy to design complex layouts that may involve multiple elements, callouts, sidebars, and so forth. Note that iBooks Author also supports a flowing layout when books are viewed in portrait mode but I would recommend disabling this for photo books and enforcing landscape mode only. iBooks Author comes with six templates for formatting your book and many more are available from third parties. I initially considered using the templates in order to drag and drop content but quickly realized they were too limiting for a book designed to showcase photos. My recommendation would be to start with a blank (or nearly blank) template and use the template to do only basic stylization of the book (e.g., background color of pages, title text, etc.) and then position photos and text boxes individually on each page. Static images placed on the page. Images placed on a page, which expand to fullscreen when tapped. Multiple images placed in a gallery widget. The simplest way to arrange photographs in IBA is to place them as static images. In this case, there is no action taken in response to a touch. We used this used this mainly for images that were already displayed as a full page or scaled to the maximum vertical or horizontal page dimensions, as shown below. Many of the images in our book respond to a touch by expanding into a fullscreen view. For example, touching any of the three pictures on the page below brings up a full screen image. One of the dynamic widgets included in IBA is the image gallery. This places a gallery on the page with the first image showing. A swipe of a finger across the picture advances to the next image in the gallery and a tap brings up the current image in fullscreen. There are many options which control the presentation of the captions and thumbnails. We used the gallery extensively in the book as a mechanism for grouping related pictures. indicated by the small circles under the picture. Touching the image expands it to fullscreen with the caption visible at the bottom. A second touch hides the caption and the close icon. 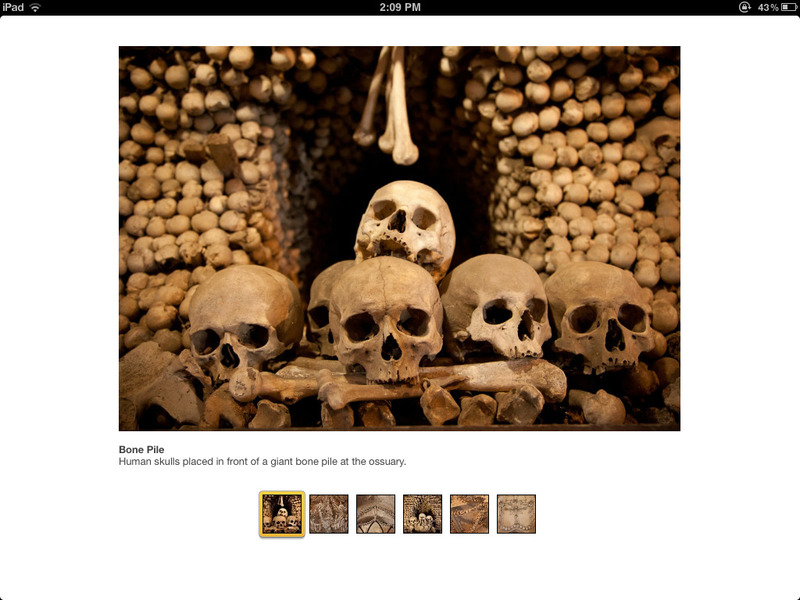 Alternatively, one can display images in a gallery widget with thumbnails. In our book we used a variety of layouts, such as those shown below. Of these layouts, the panorama mode is the only one that I feel does not adapt well to the tablet format because of the mismatch between the image’s aspect ratio and and that of the iPad, which means that much of the screen real estate is not utilized. 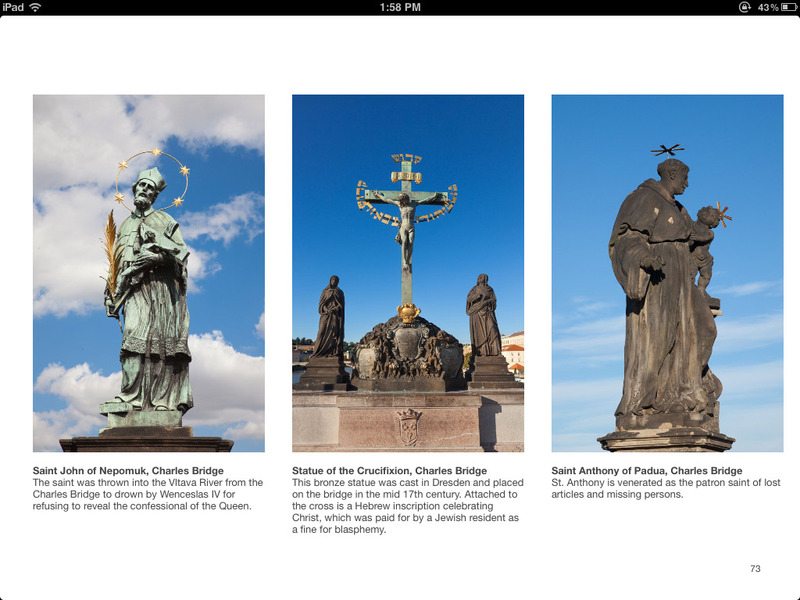 iBooks Author supports a number of other interactive widgets that might be of use for photo books. These include video and sound files and also dashboard widgets, which could include things like calculators or an embedded Google Map. 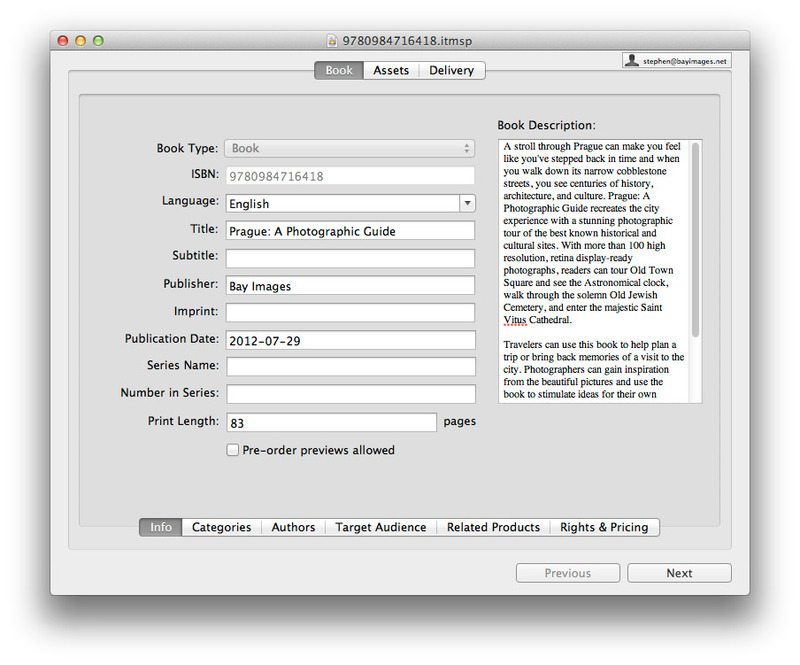 There are two basic ways to distribute an ebook created with iBooks Author. If the book is free, you can distribute the iBooks file however you want. 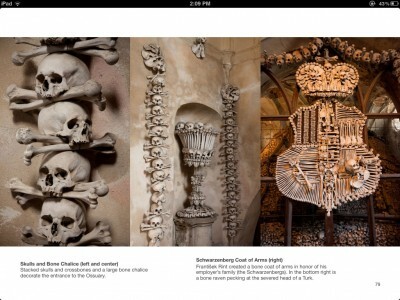 For example, you can put it on your website and have readers download it and import directly onto their iPads. You can distribute the book either for free or for sale through the iTunes store. Apple takes a 30% commission of the retail price. Complete an application for either a free or paid account in iTunes Connect. With iTunes Producer, which is a separate software program from Apple, create and upload a media package containing your book asset, meta data, and pricing information. Pass the Apple review process and respond to any issues raised. Manage your book sales and distribution with iTunes Connect. The major choice that needs to be made is whether you want a free or paid account. The primary difference is that with a paid account you can charge for your books in addition to offering them for free. A valid US tax ID (e.g., Social Security or EIN number). Bank account information, which will allow you to receive payments. An ISBN-13 number for your book, even if you are distributing it for free. ISBNs are very expensive if bought singly, but you can get them cheaper if if you buy them in blocks. Typically a single ISBN costs $125, whereas a bundle of 10 sells for $250. There are discount resellers that may offer you an ISBN for as little as a few dollars, but the drawback is that you may not be listed as the publisher of record. One of the final steps is to sign a lengthy contract detailing your distribution agreement with Apple. Basic meta data such as author name and a book description. Pricing by Territory. Currently there are 32 different countries in which your book can be offered. Below is a screenshot of the book info page in iTunes Producer. A sample .ibooks file, which is a subset of pages/chapters available as free download to potential customers (required for paid accounts). Apple recommends keeping the file size under 20MB so that it can be downloaded on cellular networks. Up to five optional screen shots of your book. The easiest way of getting screenshots is to view the book on your iPad and press the home and power button simultaneously. The drawback of this approach is that the screenshot will capture the status bar and the iBooks application rounds the corners of the pages. 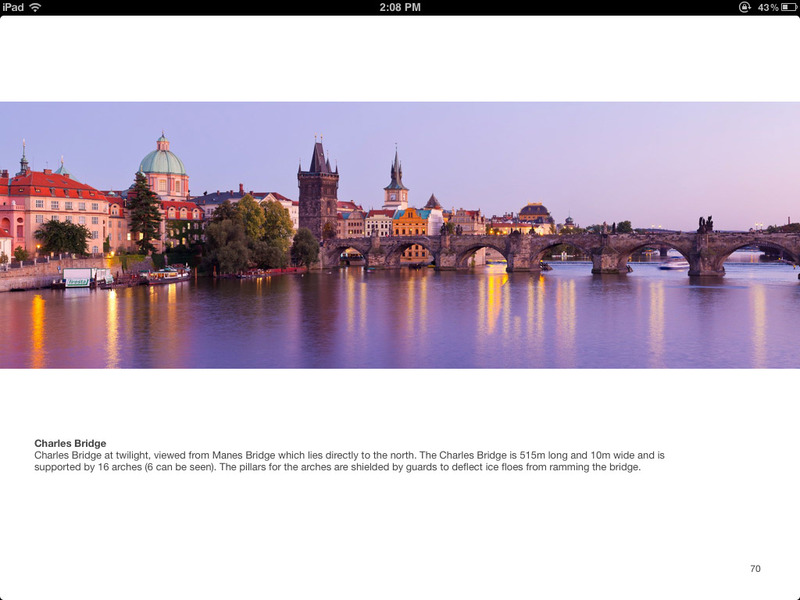 Alternatively, one can capture screenshots straight from iBooks Author. Once your package is uploaded, you will need to undergo Apple’s review and approval process. We uploaded our book on 7/20 and it was finally approved and live on the iTunes store on 7/31 with a total wait time of 8 business days. During the review process the only issue that we needed to fix was the use of the term “iBook”, which we used describe our product. Apple has trademarked this term and insisted that we describe the book with an alternative term, such as “ebook”. Although the review was reasonably fast, the approval process was not as transparent as it could have been. There was no indication of expected time frames for Apple reviewers and we were often wondering if Apple had even received our corrections. While the reporting functionality is adequate it is not particularly detailed and you can’t see information such as the search terms used to find your book in the iTunes store or aggregated customer demographics. The iBooks Author program greatly simplifies the mechanics of creating and publishing an ebook. Photographic books are easy to design and Apple’s iTunes ecosystem provides a venue for distribution. 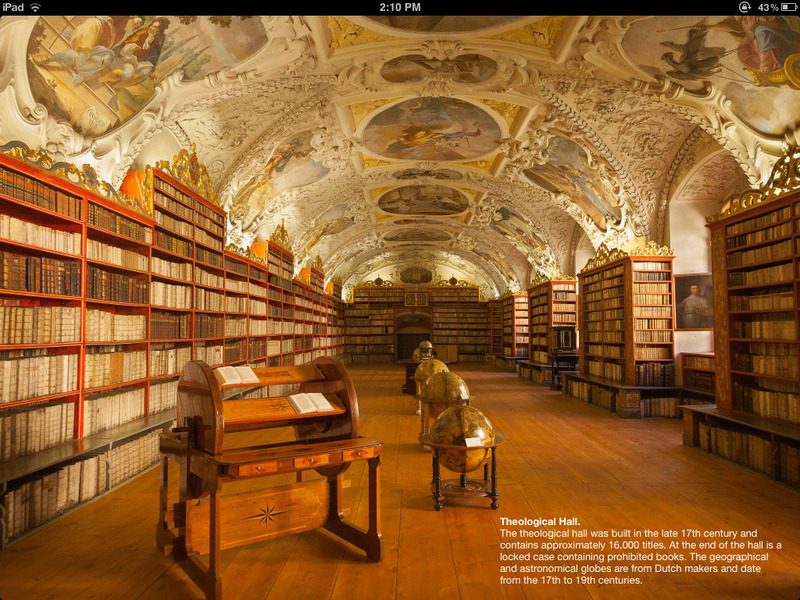 The main drawback is that the book files can only be viewed in iBooks 2 on an iPad. While Apple’s iPad sales are growing exponentially, with millions of units sold every quarter, there is no way to read or view the files on other platforms (including Mac OS X). Stephen, I found yout writing while looking for an exhaustive list of issues for which Apple would knock back your attempt to poblish an ibook, excuse me, an ebook. I read your piece top to bottom and found your short list of known issues. I’ve also heard they will not accept Mandarin as text, so a screen shot of text making it a graphic is what I’m trying. Thank you for your details on the process. I’m sending up my first book, fingers crossed. 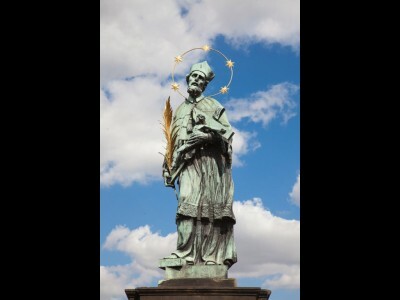 I hope your book on Prague has done well. this is the first time I read a blog with a lot of text, from start to finish. As a photographer I guess this is our future, and I just started downloading Ibooks Author and wanted to thank you for this great, hands-on review. Just what I was looking for to help me create a photo book of a recent vacation trip. At $1.99, it’s also worth it for me to get your book and look in detail at what you did. Looking at your book has helped me better understand the relationship between the table of contents and each chapter and its pages. After trying out iBooks Author, I was about to give up on using it because I couldn’t figure that part out. Everything I built just looked weird. You’ve changed my mind and inspired me to try again.